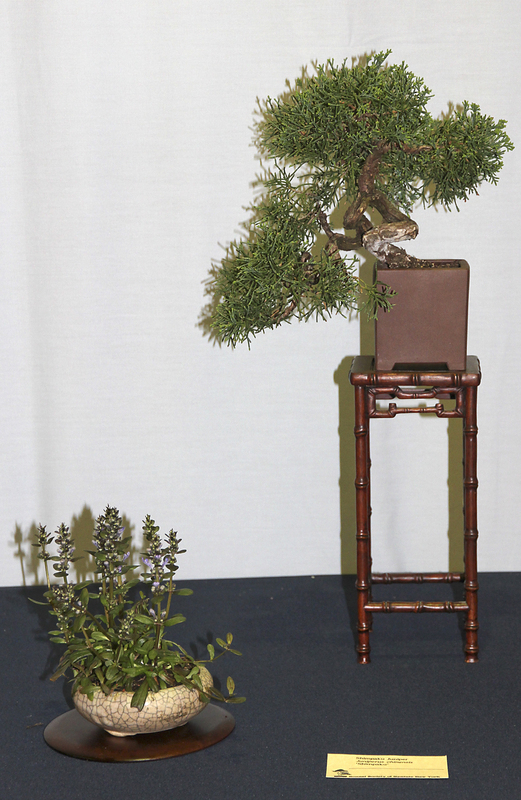 Dwarf Hinoki cypress from the Maggio (RJB) Collection received the Yoshimura Award for the Members’ Choice Award. 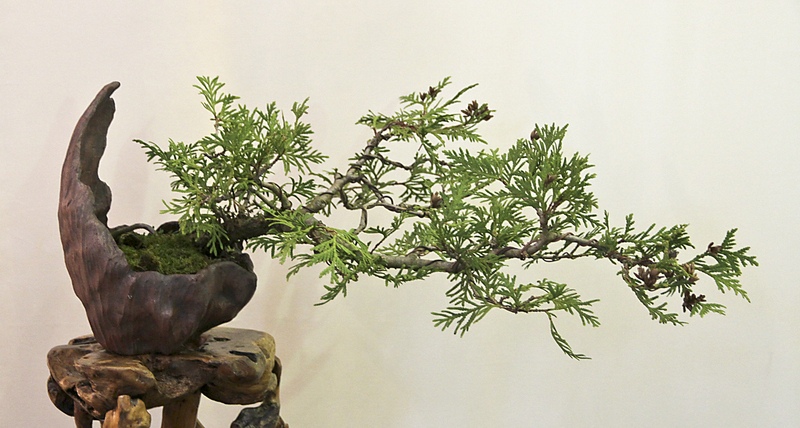 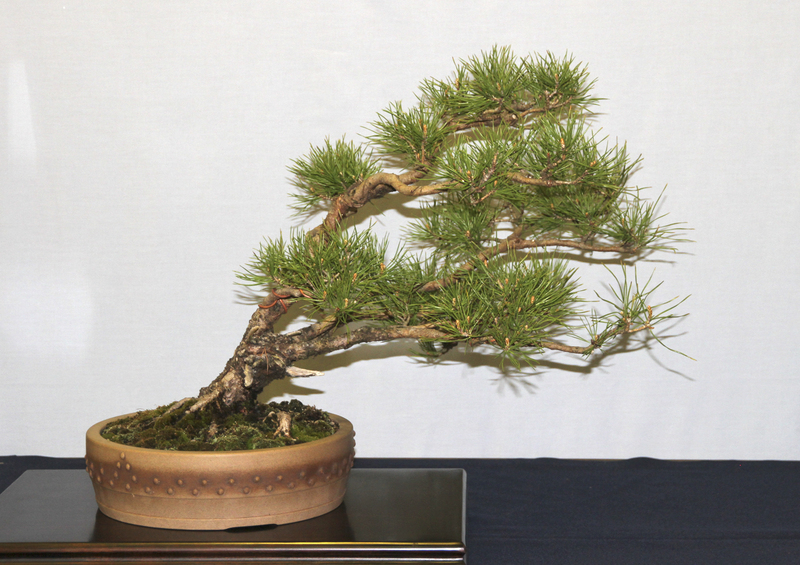 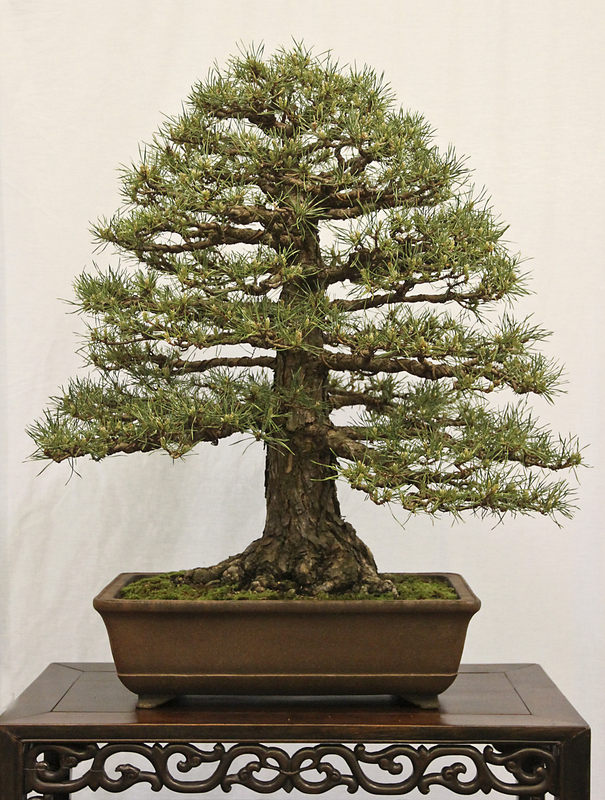 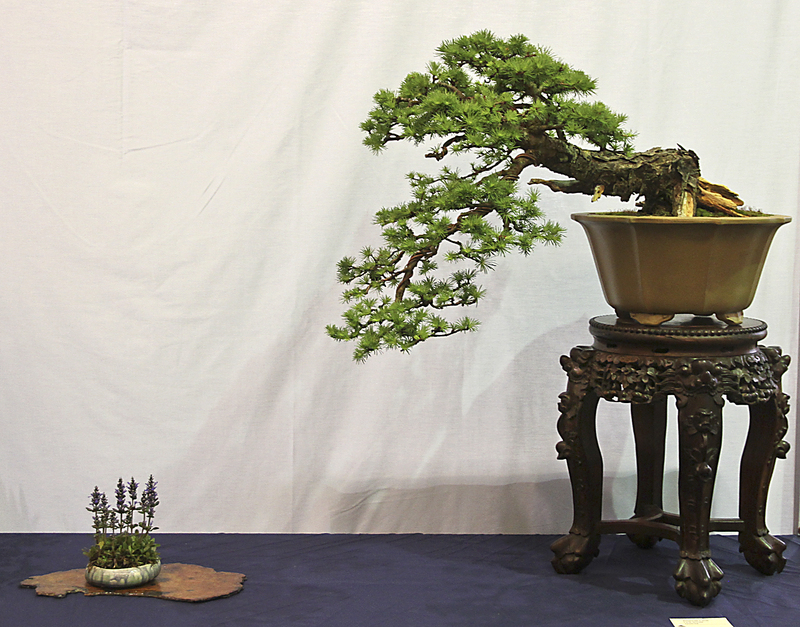 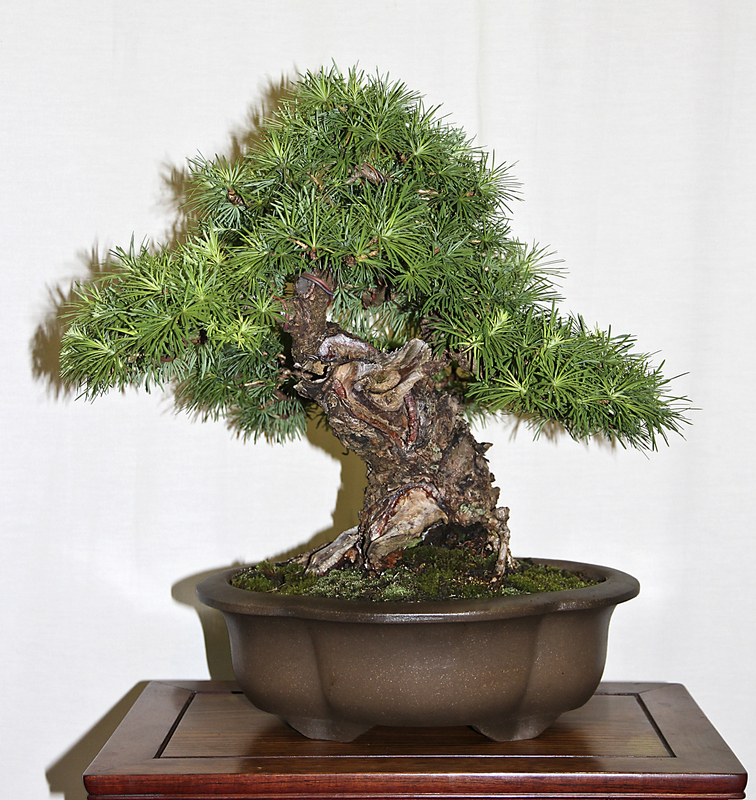 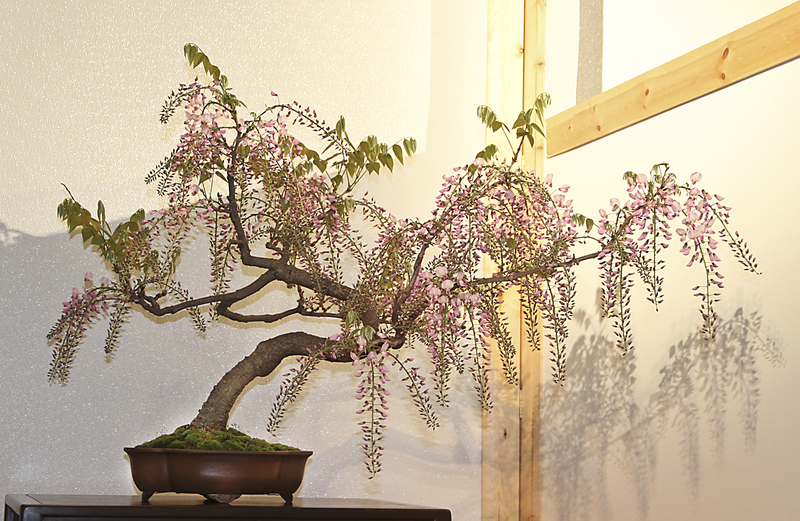 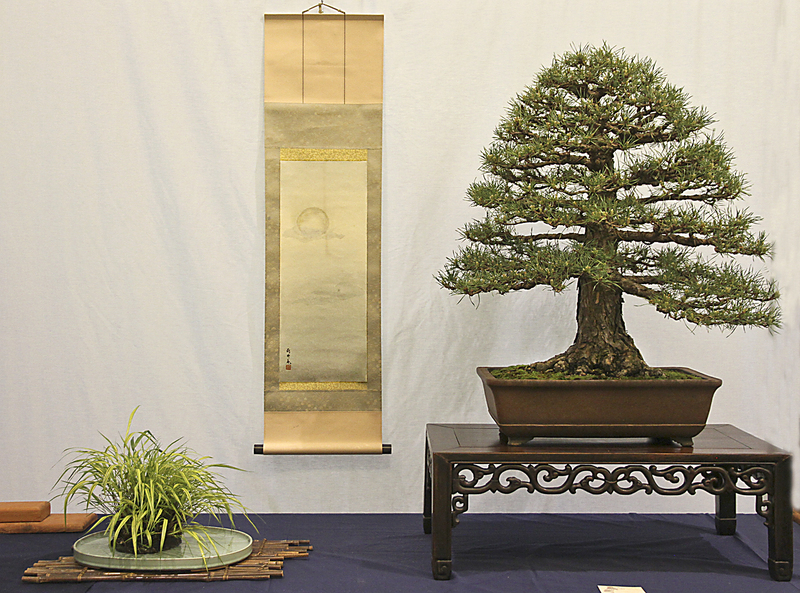 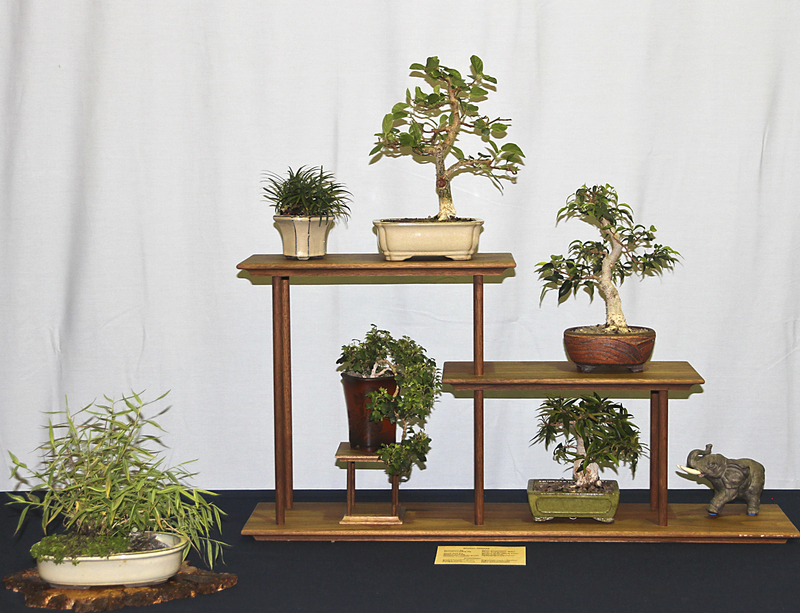 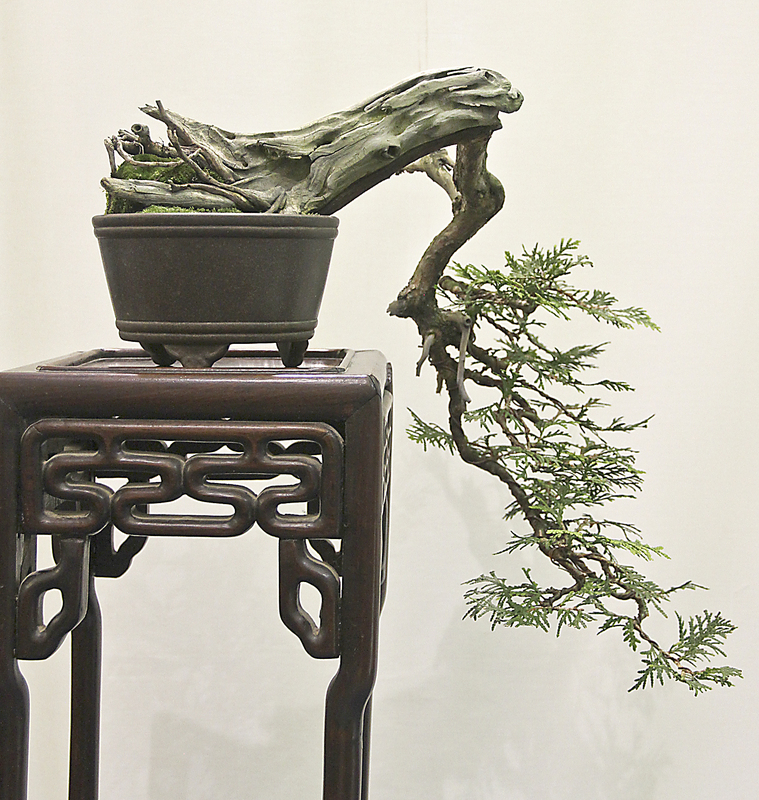 On May 17-18, 2014 members of the Bonsai Society of Upstate New York organized, staged and hosted our 41st exhibition. 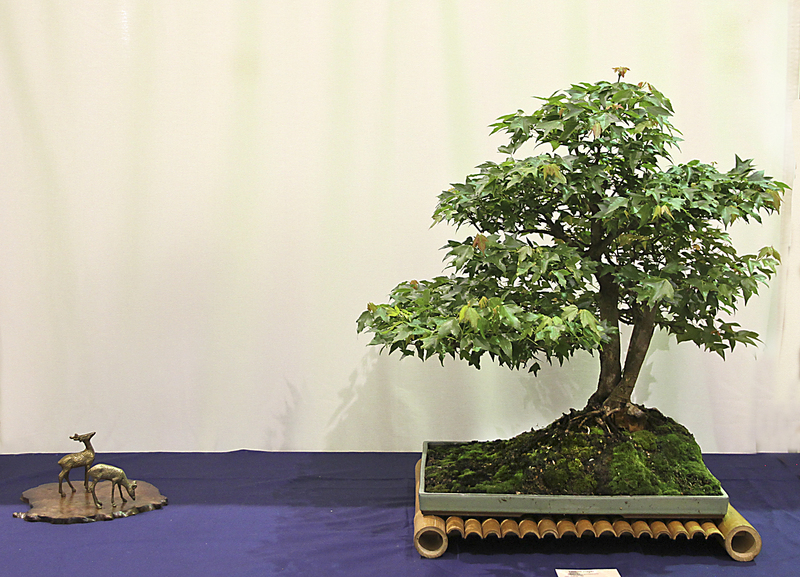 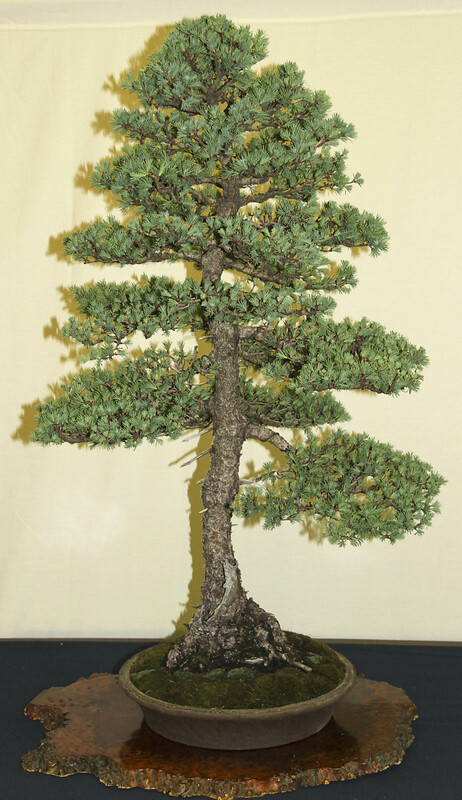 Over 100 individual bonsai were displayed by members with different backgrounds, skill levels and bonsai design styles. 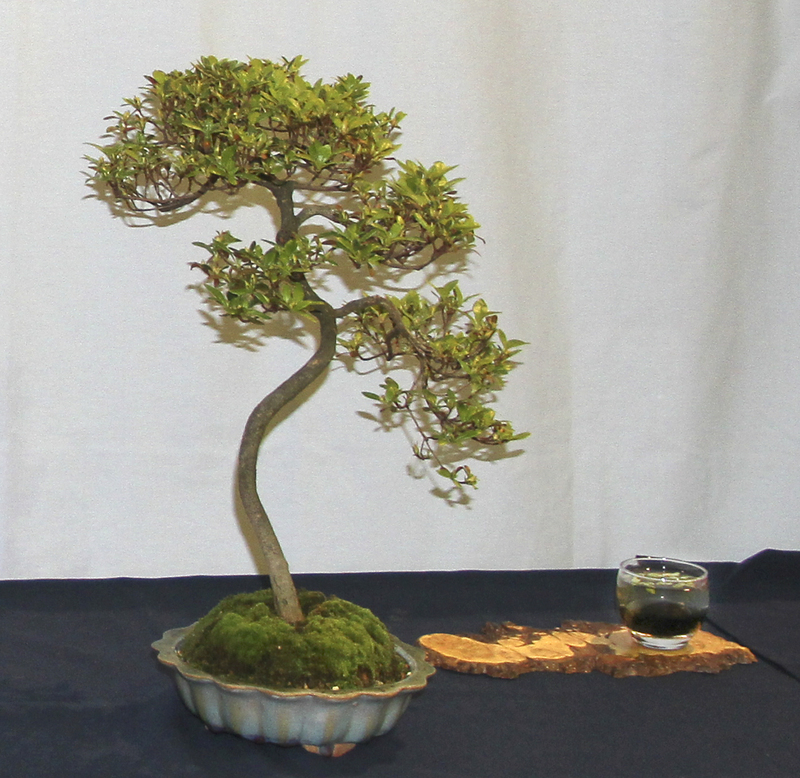 Everyone was invited and encouraged to display a bonsai. 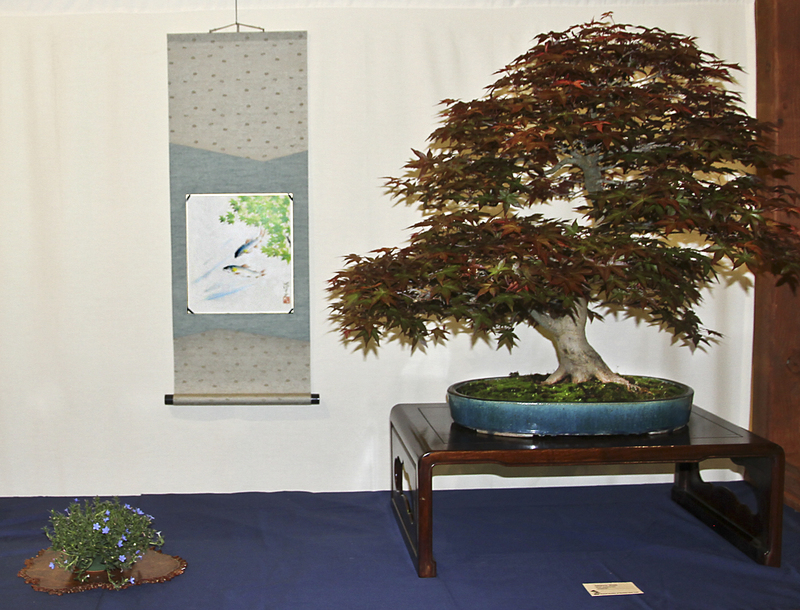 The exhibition was well received and it’s interesting to note that we only had ONE “committee” meeting which lasted 20 minutes to organize the exhibition. 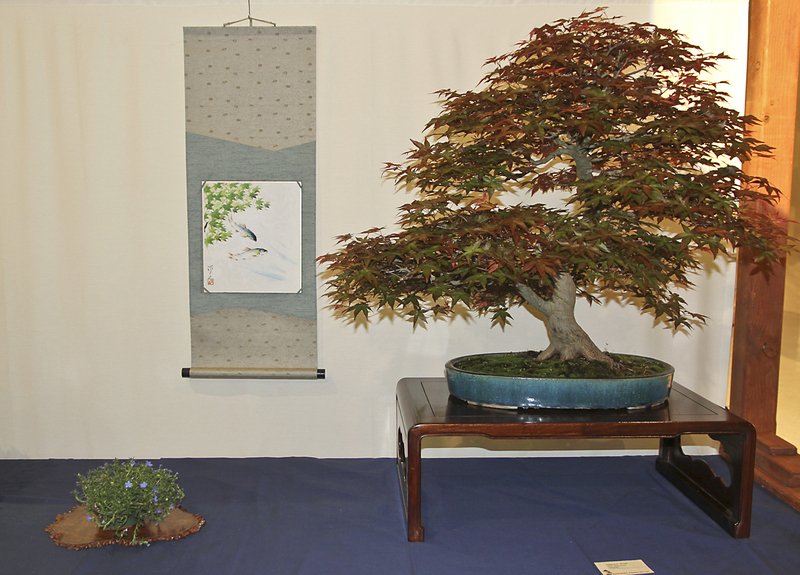 Everyone came together to set up, host and take down the exhibition. 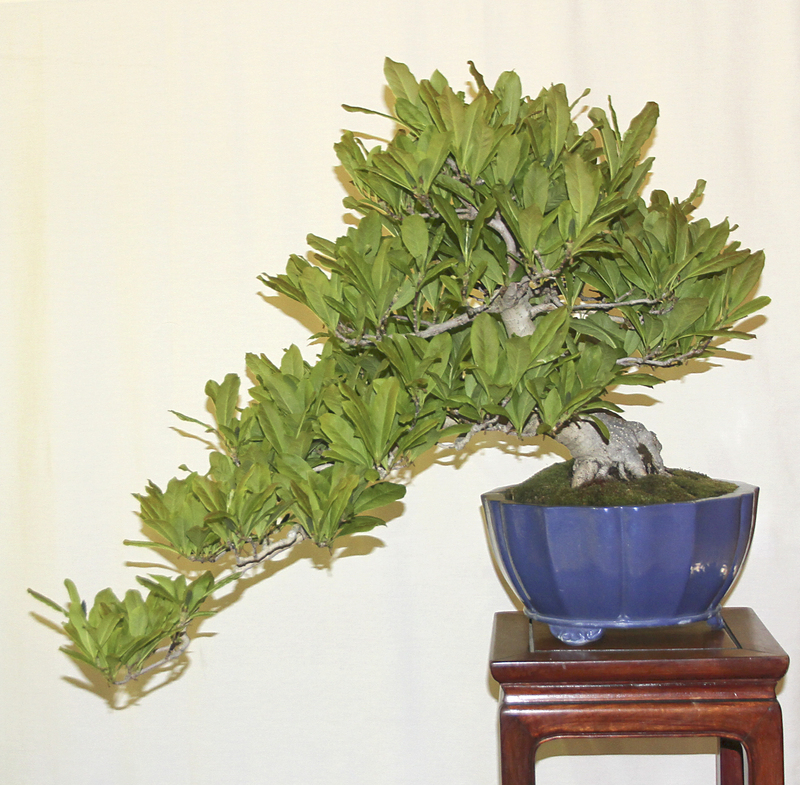 As most people know set up takes longer than take down. 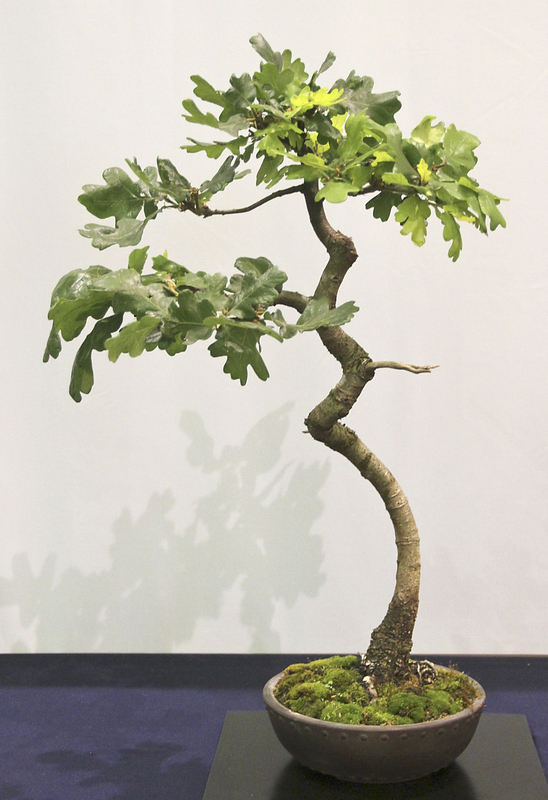 It took our members about four hours to set up the exhibition and just less than one hour to take it down, not counting some time for vacuuming the floor. 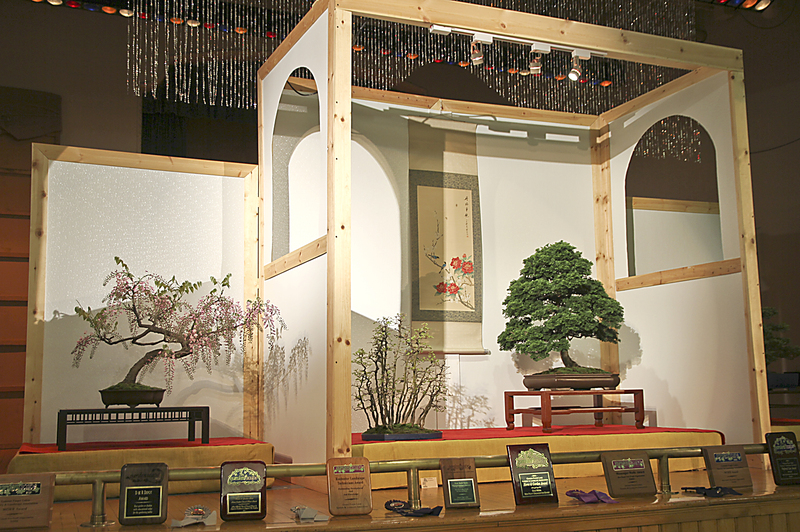 Shohin bonsai display area. 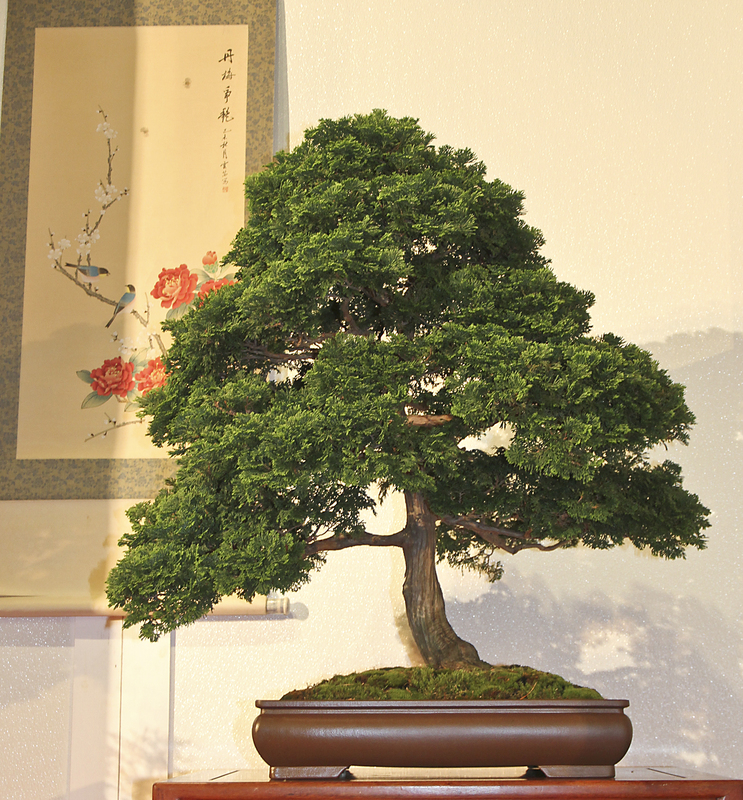 Our members have quite a collection of shohin bonsai and we could have actually filled the entire room with only shohin bonsai. 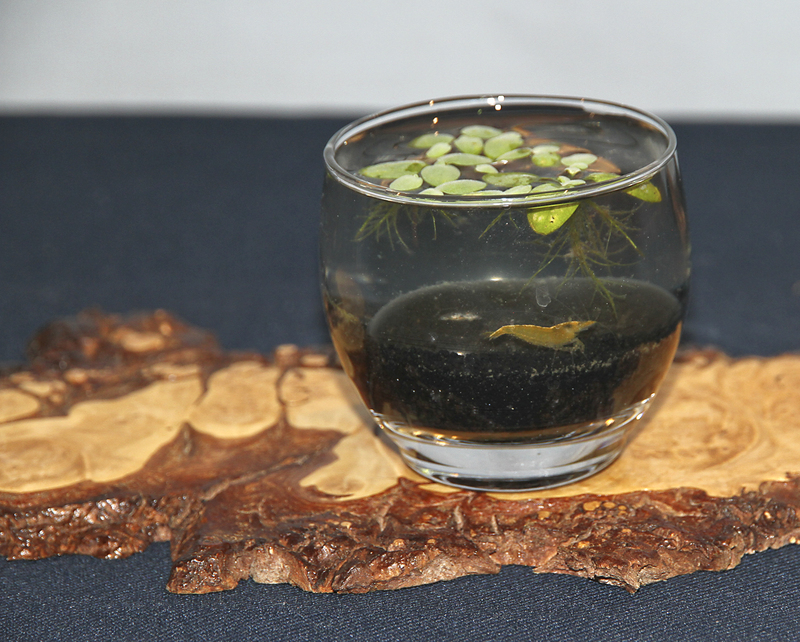 But, we only shared a few specimens. 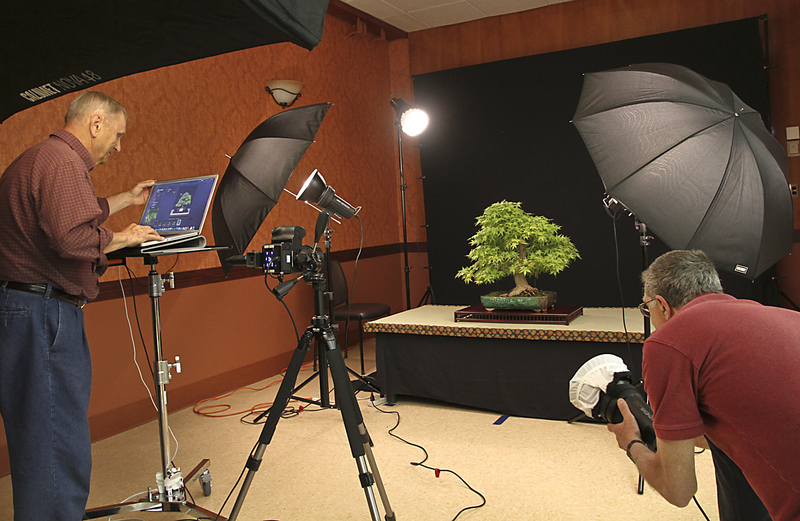 Master photographer, bonsai artist and our member from Greenville, North Carolina, Joe Noga, traveled to Rochester to photograph all the bonsai. 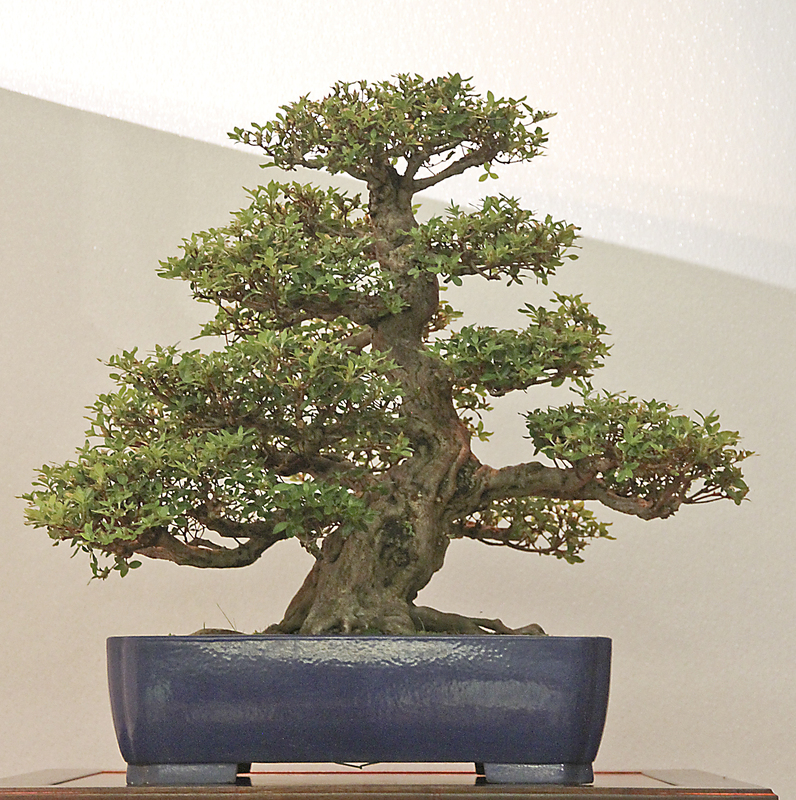 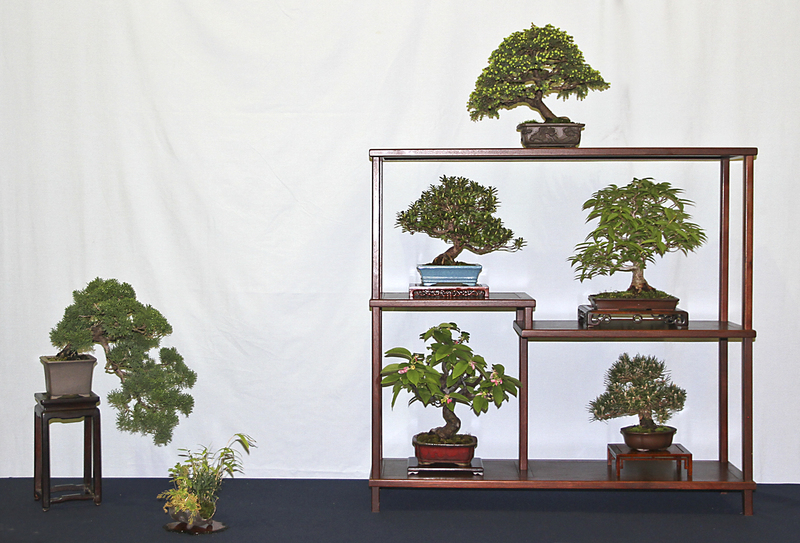 Those professional photos will be in a forthcoming issue of International BONSAI. 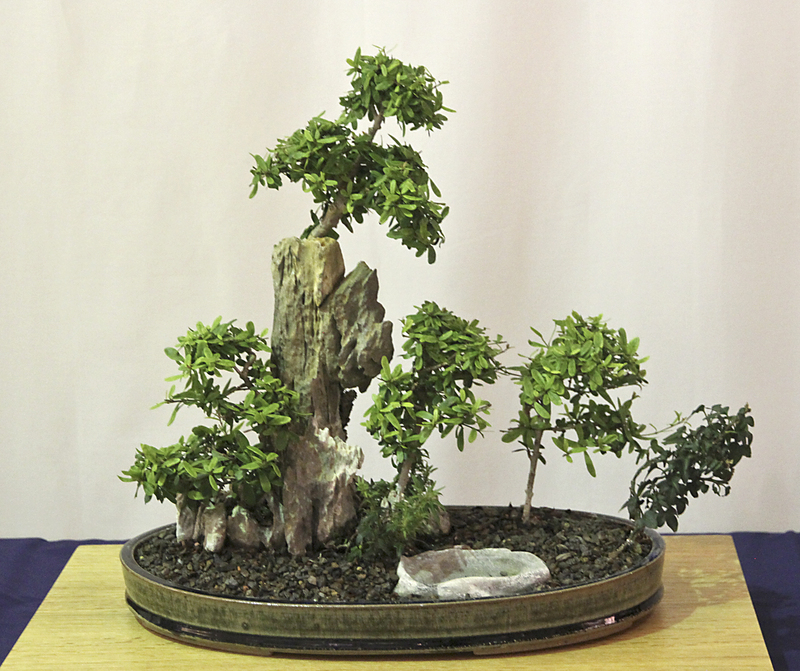 The amateur photos in this blog are mine. 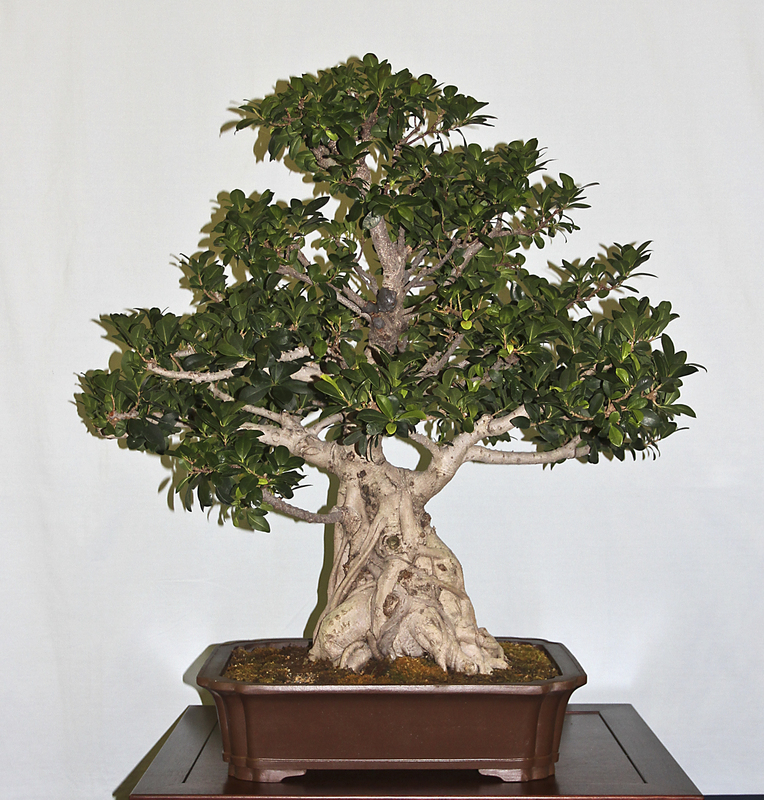 Joe’s are magnificent and will clearly show the details of each tree in the correct color balance. 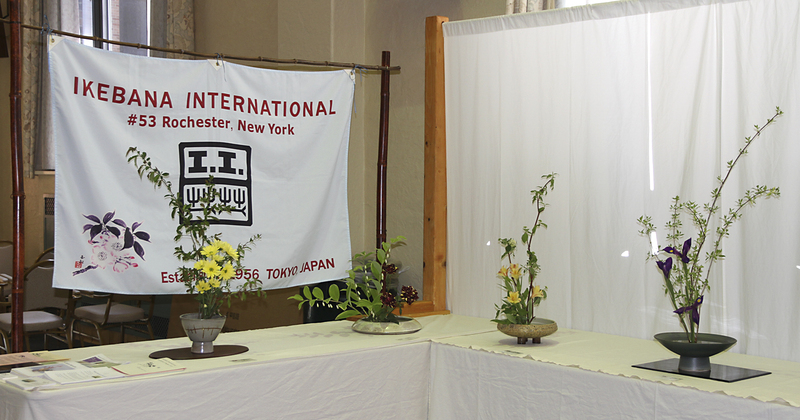 One of our club members, Roy Wixson, from Buffalo, NY, surprised us with a short Youtube video of the exhibition! 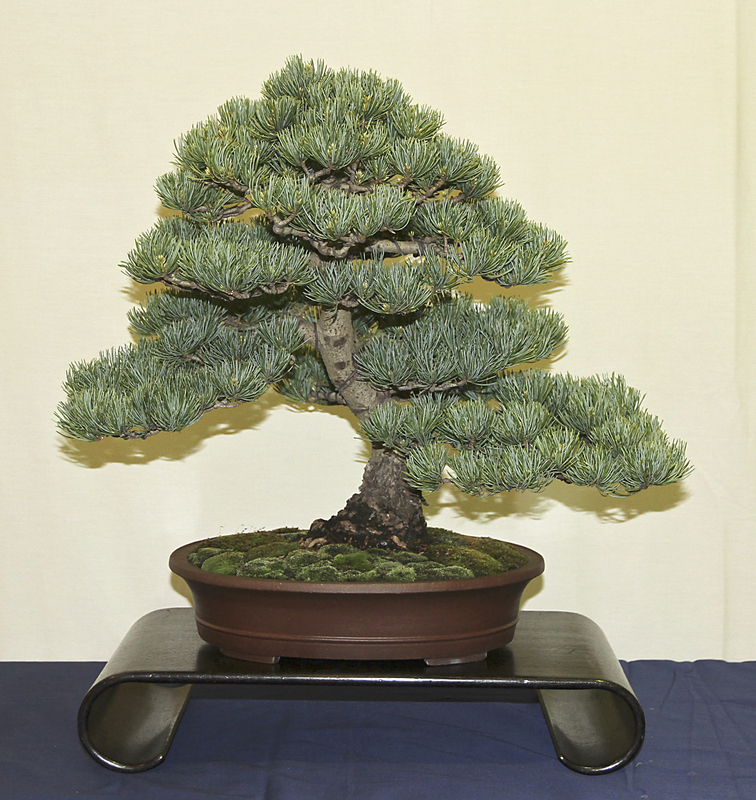 Enjoy the video and thanks Roy! 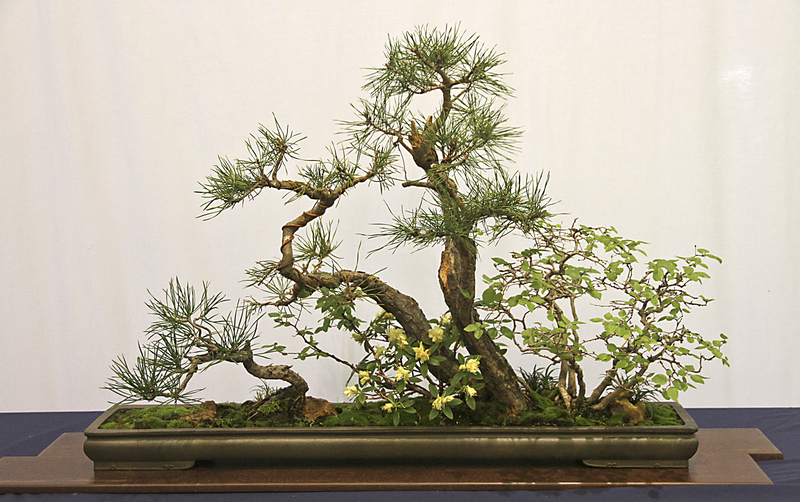 some lovely trees and love the hinoki.